This is the fifth post in my series on the handling of narcotic related offenses in Peoria, Illinois. My last article discussed defending against marijuana charges. It is important to understand that “weed” remains illegal and that you can face criminal charges if arrested. It is important that you contact a criminal defense attorney if you find yourself in such a situation. 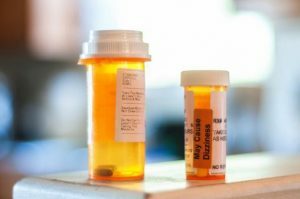 In this article I will discuss charges which relate to prescription drugs. Many people arrested with prescription narcotics are surprised at the extent to which prosecutors pursue such matters. Many Illinois residents err in thinking that prescription pill related offenses are not a serious matter. The fact of the matter is that the abuse of such drugs is on the rise in our country. The situation is considered so serious, in part, due to the fact that addiction to opioid-based pills can often result in an addict moving on to other opiates such as heroin. Many individuals with prescription based addictions engage in theft, fraud, or other offenses in order to obtain money to get drugs. The forgery of prescriptions are also common in such matters. These are just some of the reasons why these types of cases are taken seriously by prosecutors and judges. Such cases can involve morphine, opiates, amphetamines, as well as substances such as codeine, hydrocodone, ketamine, Xanax and Valium. Depending on the type and amount of narcotics involved a defendant can find themselves facing misdemeanor or felony charges. Being convicted can result in a permanent criminal record and being disqualified from future employment. If you are a medical professional, such as a nurse or a doctor, you may find yourself facing disciplinary action or suspension from your licensing board. If you hold some other type of professional license, such as that of a school teacher, then you may also face issues which impact your professional career. These are just some of the reasons why Peoria residents should contact counsel immediately after a police encounter. There are steps which an experienced lawyer will take in handling such cases. Your representative will immediately obtain police reports and other evidence. As I discussed in my article on how search and seizure issues impact drug cases, counsel can file a Motion to Suppress any evidence which may have been obtained in violation of the Fourth Amendment. If the police violated your rights then it may, depending on the circumstances, be possible to have the case dismissed entirely. Should the matter go to trial then it is the prosecutor’s burden to prove that you did not have a valid prescription, that you were knowingly in possession of a controlled substance, as well as other factors. Contact my office today to speak with a Peoria prescription drug attorney. I am a former prosecutor and am familiar with handling such matters. I also service the cities of Bloomington, Decatur, Eureka, Galesburg, Morton, Normal, Pekin, Springfield, and Washington, as well as the counties of Fulton, Knox, LaSalle, Marshall, Mason, McLean, Putnam, Rock Island, Schuyler, Stark, Tazewell, and Woodford. I also handle federal cases in Urbana.